Hello blog friends. Happy Friday! 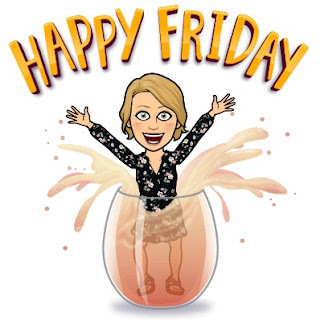 I have a few Friday Favorites I'd love to share with you. I received this Swell bottle two years ago from my daughter for Christmas. I absolutely love this water bottle and I always use it when I go to the gym. I usually fill it with two ice cubes and water. I try to drink the whole bottle but if I don't, then I usually finish the rest of it when I get home. This is a great way for me to drink my water as I know I don't drink enough of it. It's a must for me to wear black mascara since my lashes are light colored. You really can't see my lashes unless I am wearing mascara. I don't want to use eyelash extensions either since I don't want glue on my eyelids, but I hear it's a game changer. I decided to try out this mascara when I had a small sample of this mascara from Sephora. I really like the way this mascara works and it makes my lashes look so long and full. This mascara was a splurge at Bloomingdales and the sales associate was so helpful at the makeup counter. QUESTION: Have any of you ever had an eye brow tint done? It is supposed to last about a month. They do this in my nail salon and in many salons in my area. I am so curious about this since my eyebrows now seem to be so light and disappearing. I have to fill them in a little bit with eyebrow pencil. My mom used to have her eyebrows tattooed and the same with her eyeliner! My mom was so brave! Since I was on my shopping spree at Bloomingdales, I decided to buy another makeup item (Estee Lauder Matte Liquid Lipcolor) at the Estee Lauder counter so that I could receive the cosmetic bag and makeup for free. I love the pretty makeup bag and of course more cream and makeup samples to try out. The sample sizes are also a good idea to use when you are traveling. 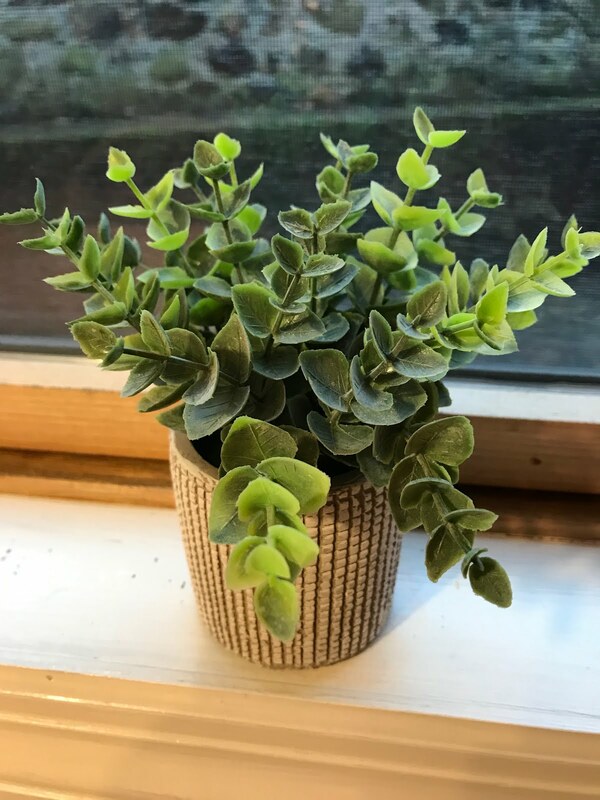 I bought this faux plant at TJ Maxx and I just love it. 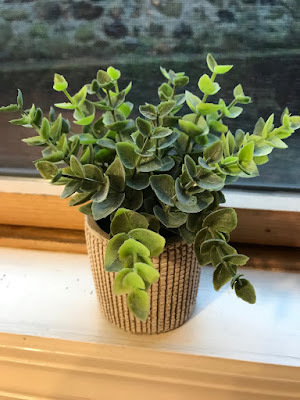 I have it sitting on my windowsill in the kitchen. The best part about this faux plant is that I don't have to worry about watering it or it dying on me. I like moving it around in different spots in my house. I had never heard of this store until I read a blog post from my blogging friend Heather who blogs at Our Life In a Click. She had done a blog post on the store and she inspired me to visit the store too. I am in the Union Square area in NYC once a month and I decided to stop into the store to see what they had. 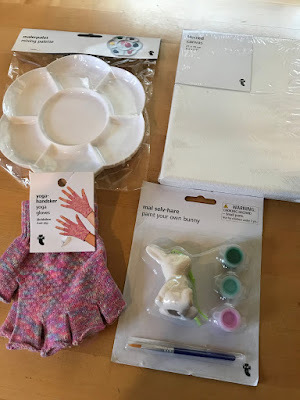 I bought a paint palette, a small canvas, yoga gloves, and paint your bunny set. I had fun visiting the store and looking at the huge variety of items they sell. Thanks Heather, I will be visiting the store from time to time when I'm in the city. Have you bought anything lately that you just love? Thanks for stopping by and have a nice Friday and weekend. Thank you for the Flying Tiger shout out! Isn't it a fun place to shop/browse! You found some really cute things. 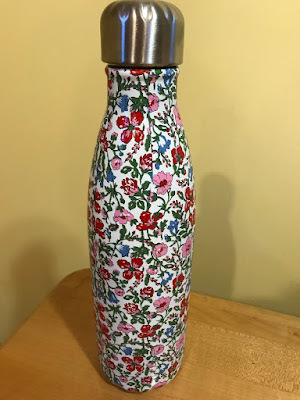 Your Swell bottle is so pretty! My daughter loves her Swell bottle. I haven't tried that mascara but I will check it out. I've never had my eyebrows tinted but I'm going through the same thing with barely there brows! I hope you have a great weekend! 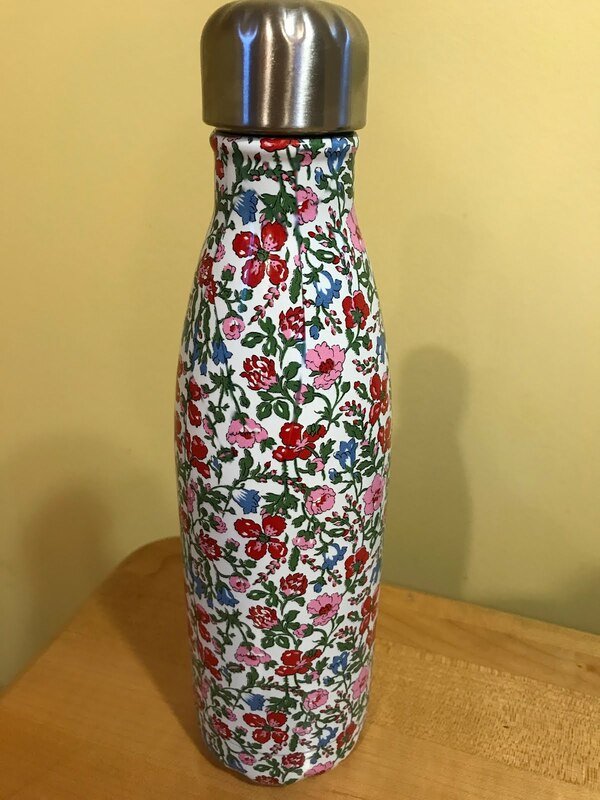 I too have a Swell bottle given to me by my daughter! Love it! I loved the makeup recommendations, my eyebrows are disappearing too, but I'm not brave enough to dye them! I love faux plants, nothing dies...lol My mom and I had our eyebrows and eyeliner tattooed. One of those stores just popped up in our mall, it's fun isn't it? I haven't purchased anything yet, but it's tempting. Reminds me of Ikea...Enjoy the sunshine and have a great weekend! Love all your fun treasures. I have a swell bottle too. They are the best and so cute. Hope your Friday was a good one. Have a wonderful weekend. Happy Friday Julie, I love the swell bottle. Have a lovely weekend. I need to buy all new makeups... 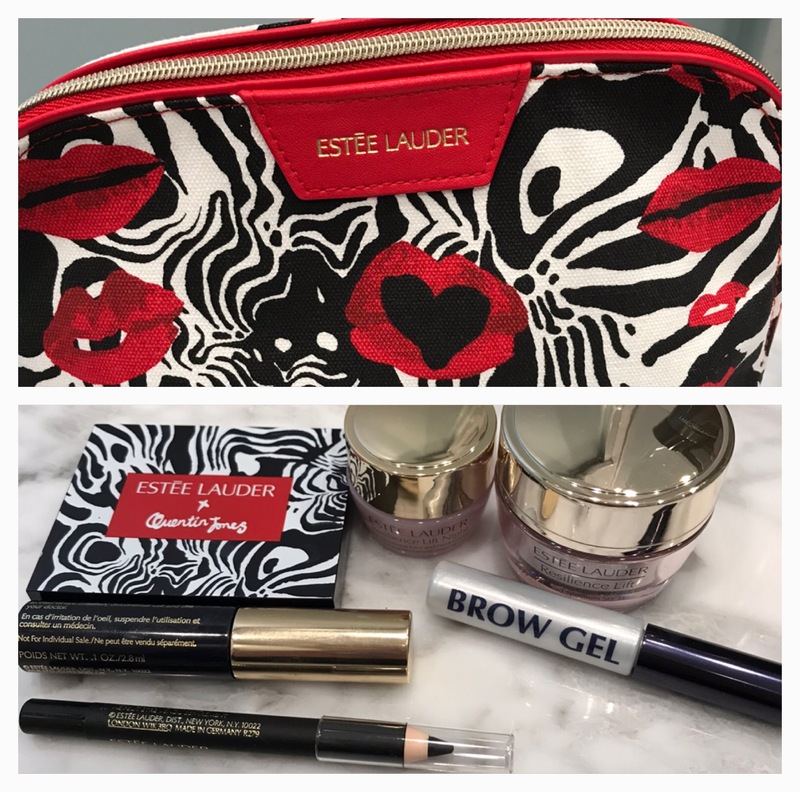 I've never used Estee Lauder Makeup . I'm thinking to trying once.